The French and European leader in shock and vibration control solutions, Socitec is reputed for its dynamic approach, understanding of complex challenges and its focus on people. We are lucky to work with very exacting customers who need expertise to solve their problems. For over 50 years, the relationship of trust that we have built up with our clients has seen us perform on thousands of projects, arming us with unique experience. Socitec takes a foothold in the United States by purchasing Vibro/Dynamics, which becomes its US subsidiary in Chicago. Socitec sets up a branch in Great Britain and the company triples its sales volume in 15 years. Design and first French production of wire rope isolators by Socitec. By the end of the 1990s, several of its products are market leaders. Creation of Socitec. Importation of electro-mechanical components from Japan and the United States. Socitec follows a quality control chain that includes strict benchmarks, and participates in the continuous development of new processes. The company is qualified to ensure the certification of its products and works with partners like the national testing laboratories. We are proud to export this approach to other countries through our engineers, whose work goes as far as making surveillance measurements during high-risk transportation. 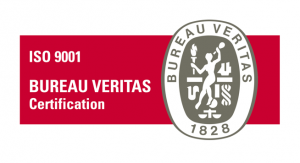 Socitec has ISO 9001 certification (v 2015). Our expert technical department is equipped with simulation apparatus to resolve the most problematic shock and vibration issues. To maintain our proficiency, we constantly work on R&D. Socitec is part of the INCAS project, whose objective is to develop and optimise technological solutions to attenuate low and very-low frequency vibrations in sensitive embarked systems. The project is financed by the FUI research investment fund, which aims to develop new innovative products. With a view towards the long-term design of its products, Socitec has joined Cetim’s SME start-up programme (3D Start PME), whose mission is to guide companies in integrating the manufacture of metallic additives. With offices in six countries and partners in over 30, Socitec’s scope of action is constantly expanding. Our solution-orientated approach means we can respond to complex environment challenges around the world. We always conform to country-specific regulations and standards, meaning we can guarantee both the security and extreme reliability of the solutions we develop.